Open this workhorse and your child will have hours of pretend building play. 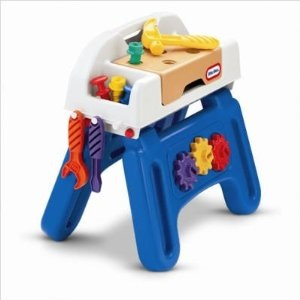 Includes pounding bench, nails, screws, screwdriver, wrench and hammer. Storage on top and both sides, plus a convenient carrying handle. Folds flat for storage. Ages 2 years and up.